In a marine aquarium can pests cause a lot of trouble. Colombo has developed products for some common pests that quickly and effectively solve the problem. Colombo has been developing medicines for ornamental fish for more than 30 years. This experience has helped us to develop medicines for salt water fish, like all Colombo medicines products, guarantee unrivaled results. Mycosidol® For a clean marine aquarium. Mycosidol Bio Cure contains natural ingredients and bacteria to purify the water and decompose organic waste, the so called Detrtitus. Red algae, also known as Cyano bacteria, will develop mainly in aquariums with a lot of detritus. When Mycosidol is applied as a cure the development of Cyano’s can be brought to a hold. Mycosidol can also be used as a periodic treatment to prevent the accumulation of organic waste. Aiptasia (glass anemones) can rapidly reproduce and develop into a plague. Aiptasidol® is a special formulated fluid to remove unwanted Aiptasia easily. The included applicator helps to administer the fluid precisely without causing damage to other reef inhabitants such as corals and anemones. The glass anemone absorbs the fluid quickly after which it immediately collapses and dissolves. Femsal® Active against skin parasites on ornamental marine fish such as Oödinium, Cryptocaryon and others. Femsal can be safely used in the marine aquarium together with invertebrates such as anemones, shrimps and corals. Symptoms on affected fish vary depending on the parasite from white spots or areas to a grayish skin and loss of colour. Cobrasal® Active against skin parasites on marine fish such as Oödinium, Cryptocaryon and others. Symptoms on affected fish vary depending on the parasite from white spots or areas to a grayish skin and loss of colour. 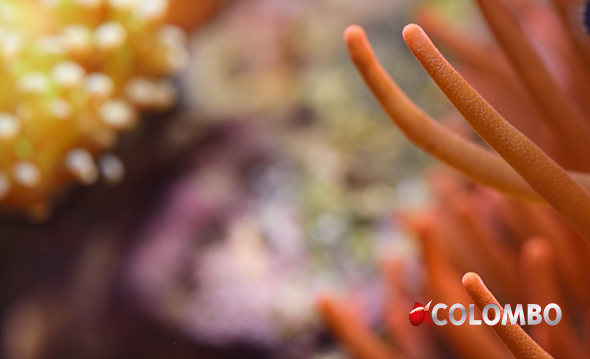 Cobrasal cannot be used together with invertebrates such as anemones, shrimps and corals.